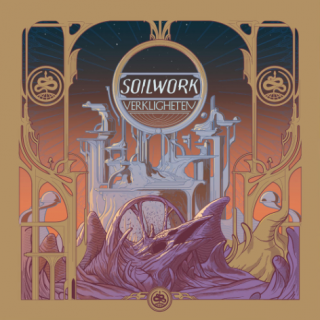 Soilwork : Verkligheten album download | Has it Leaked? Swedish metallers SOILWORK have revealed the details of their new album. 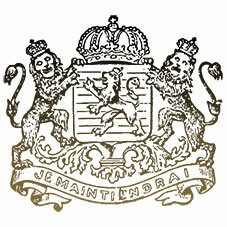 The band's 11th studio record will be titled "Verkligheten" and is the first to feature drummer Bastian Thusgaard, who replaced Dirk Verbeuren in 2016. "Verkligheten" will be released on January 11, 2019 via Nuclear Blast. The first-edition digipack, as well as the vinyl versions, will also contain the exclusive "Underworld" EP, containing four more songs. The digipack version will also feature special artwork with lavish foil print. The album as well as accompanying merchandise is now available for pre-order in various formats (digipack + t-shirt, digipack, black/orange/purple vinyl as well as digital download/stream). In conjunction with the album announcement, SOILWORK has released the brand new tune "Arrival". SOILWORK singer Björn "Speed" Strid told United Rock Nations about the disc. "I'm really, really pleased with it — it's really, really cool. [It's] possibly the most epic and darkest album we've done. And it's also very melancholic, but it's also very sort of uplifting. It's huge. I'm really happy with it." Asked if the musical direction of the new SOILWORK material is similar to that on the last album, Strid said: "I would say a mixture between 'The Ride Majestic' and [2013's] 'The Living Infinite'." SOILWORK will embark on an extensive European co-headlining run with labelmates AMORPHIS in January. Support on the trek will come from NAILED TO OBSCURITY and JINJER. SOILWORK is now a quintet, following the departure of bassist Markus Wibom in late 2016 due to "other commitments." He has since been replaced by touring bassist Taylor Nordberg (THE ABSENCE). In 2016, SOILWORK released a special collection of rarities titled "Death Resonance" via Nuclear Blast. Ugh I used to like this band. You can tell they still have talent but song has that annoying blast beat part which I can’t stand. Chorus part isn’t too bad. Hope the rest are better. We’ll see. Full Moon Shoals is a little better imo but man why couldn’t they keep their sound from Natural Born Chaos. That album was awesome. I’ll never understand why some people complain about a band that evolves their sound. Why you ever want a band to keep the same sound? It would get boring and repetitive real quick. If you want Natural Born Chaos then listen to Natural Born Chaos lol. As for the new album, it’s interesting and definitely has my attention. Soilwork always adds something new to each album and manages to still sound like Soilwork.